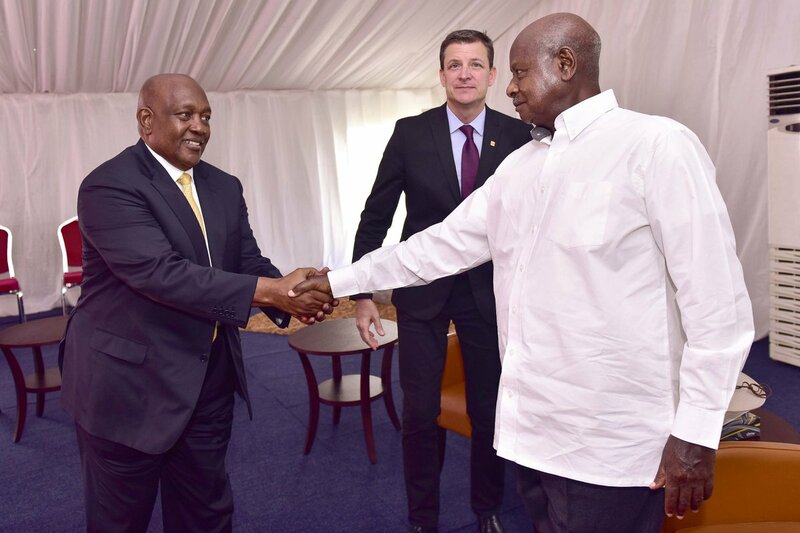 KAMPALA – President Museveni has agreed to the conditional return to Uganda of deported MTN Chief Executive Officer, Wim VanhellepuTte, PML Daily has learnt. The President is said to have given Vanhellepute a chance to return to Uganda during a meeting with MTN Group CEO Rob Shuter, MTN Uganda Board Chairman Charles Mbire and acting Uganda CEO Gordian Kyomukama during last week’s meeting on the sidelines on the Africa Now Conference held at Munyonyo, Kampala. Sources close to the discussions to this website that the MTN executives pleaded with Mr Museveni on behalf of Vanhellepute, saying the latter is missing his Ugandan wife Barbra Adoso and their two children. The MTN bosses also informed the President that Adoso is the daughter of former Permanent Secretary in the Ministry of Works, Engineer George William Owaraga, who worked in the 1970s. This is said to have concerned Mr Museveni who said he knew Engineer Owaraga at a personal level and that the latter had also served under the NRM government. However, the President is said to have told the MTN bosses that since Vanhellepute was deported over a serious crime of espionage, the latter has to personally write to the Head of State and state his case. 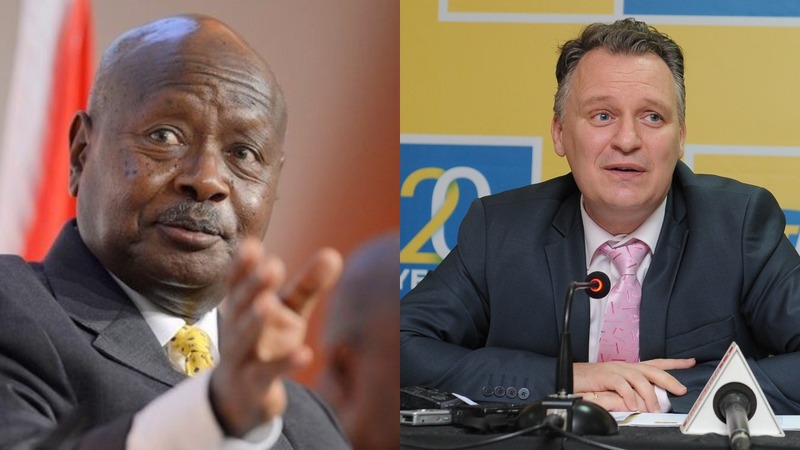 However, the President is said to have turned any pleas to pardon other deported MTN senior staff; Italian national Elsa Mussolini, the former general manager for mobile financial services, French national, Olivier Pentout and Rwandan national, Annie Bilenge Tabura who were deported earlier. The revelation comes after Vanhelleputte sued the government of Uganda, challenging his deportation on grounds that it was irrational and illegal. In his affidavit Mr Vanhelleputte says he is entitled to fair and just treatment and due process before an administrative body and/or any person, and also has a right to be heard. “The applicant has never committed any offence or criminal act under the laws of Uganda and neither is he responsible for breaking any law. That there’s no lawful reason whatsoever for his deportation. That it is in the interest of justice that his deportation be quashed,” the affidavit reads in part. There has, however, been an ongoing investigation against more MTN staff for allegedly compromising National Security using their positions at the company.